Students were put in visible random groupings and worked on vertical non permanent surfaces. The goal was to review concepts that we had seen in the activities in the course to date. 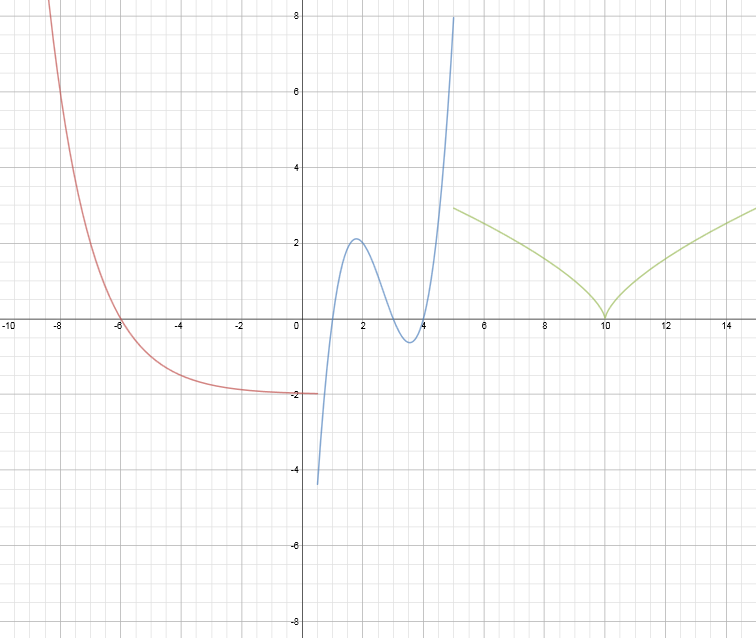 The first question asked them to list all characteristics of this piecewise graph. The second question gave them a table of values and asked them to model the data with a graphing calculator. Model this table of values (all one table). List all characteristics. Then students were to list the characteristics using the graphing calculator as a tool.Here is the work from a few groups.